These professional contouring brushes are the real deal, perfect for serious makeup artists on the job. Each makeup brush is designed to sculpt, enhance and highlight the face, creating movie-set results in no time. 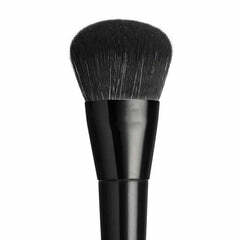 Use the angled contour brush to sweep on bronzer for defined cheek bones and the pointed contour brush to create deeper chiseled looks, including a stronger jawline and forehead. The fan brush may be used as a light dusting tool for highlighters. These contouring brushes also double as a figure-defining tool to sculpt the collar bones and décolleté. They are also 100% vegan, letting you create all your favourite selfie looks with animal-friendly kindness.